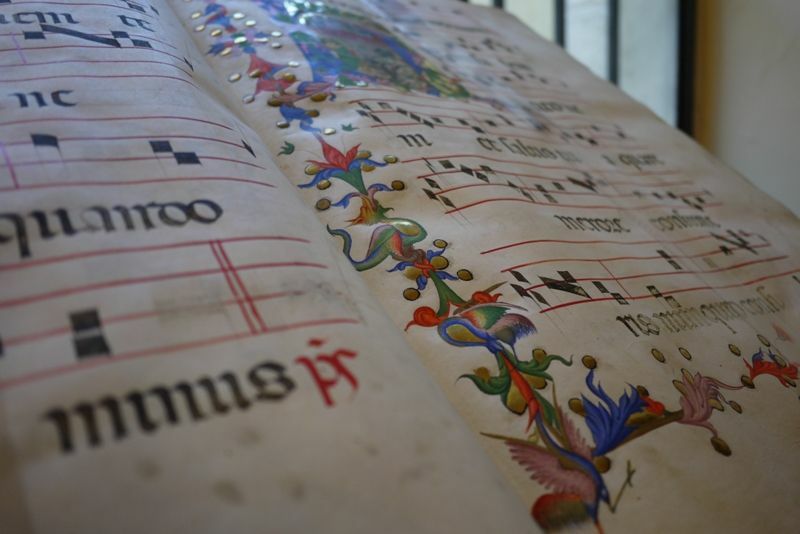 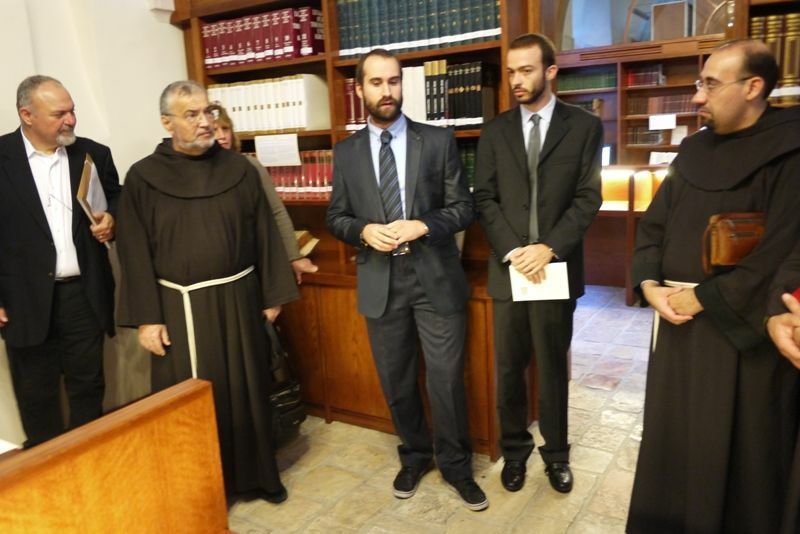 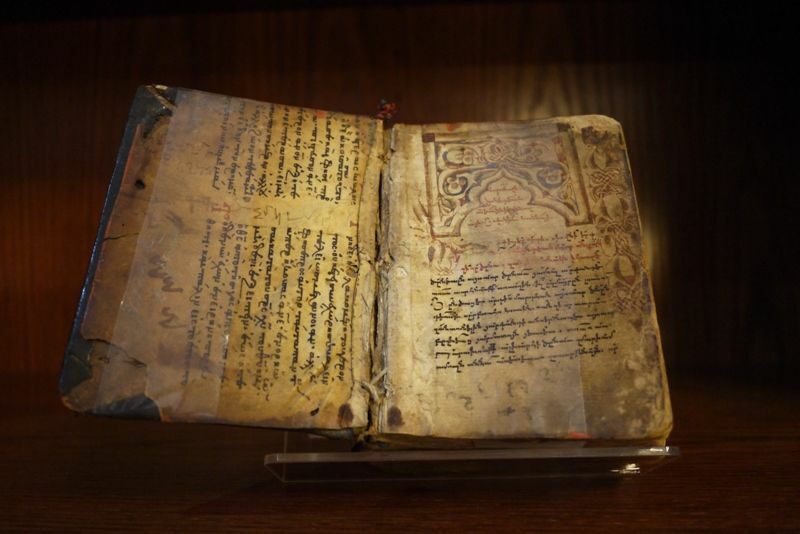 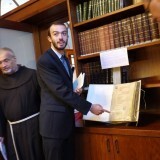 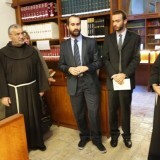 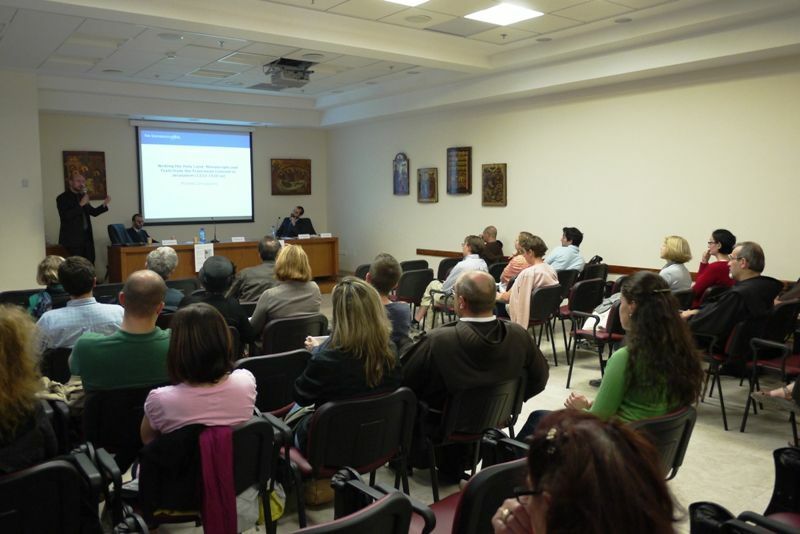 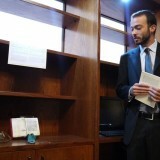 home / Multimedia / The Holy Land in news / Preserving and transmitting a history of dialogue: successful ..
[From Custodia.org] The exhibition MFH Manuscripta Franciscana Hierosolymitana took place on Thursday, October 23th at the Library of the Custody of St. Saviour’s Monastery. 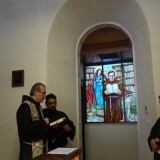 The program: blessing of the new stained glass window,guided tour of the 35 exhibited manuscripts, conference in the afternoon. 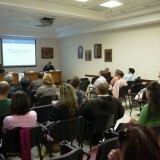 Before an attentive audience, the former director of the Library, Fr. 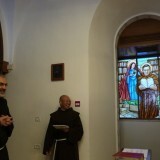 Marcello Badalamenti, and the current director, Fr. 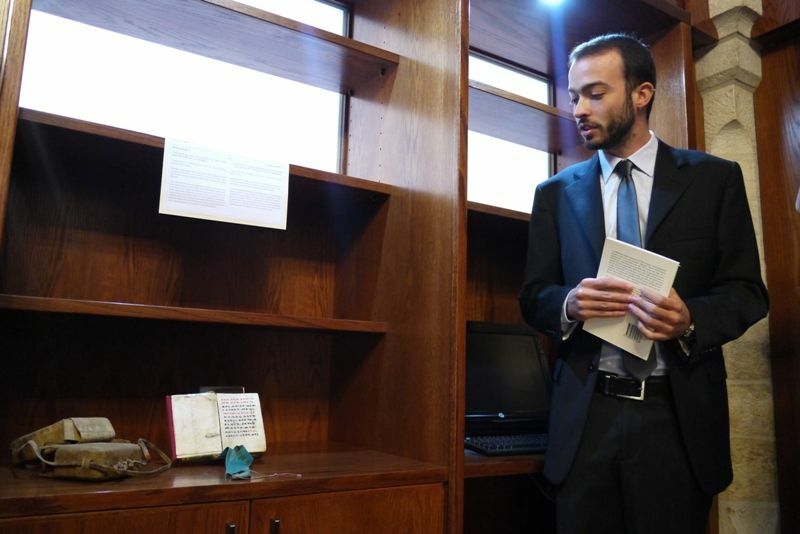 Lionel Goh, took the floor in the morning to explain the project.This exhibition, which is part of the project “Books Bridges of Peace” promoted by Association pro Terra Sancta, crowns two years of work that led to the indexation of the 550 library manuscripts and to the creation of an online catalogue. 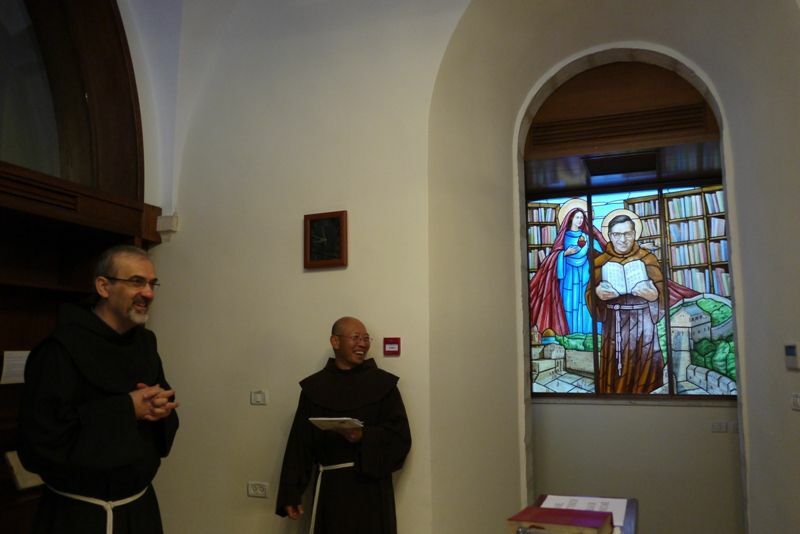 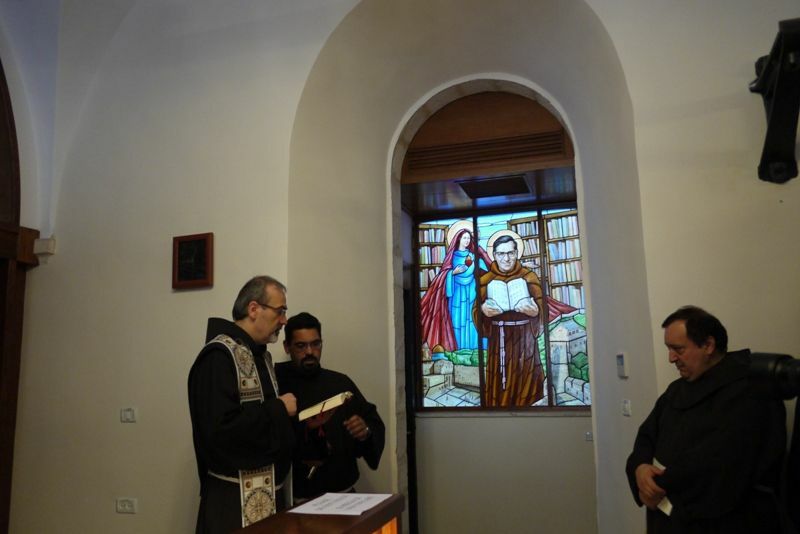 This was also the opportunity to present and bless the stained glass window of Blessed Gabriele Allegra OFM, translator of the first Bible in Chinese. 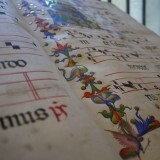 The work was designed by CalogeroZuppardo and Roberto Alabiso, located in the Library. 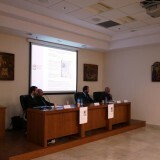 The exhibition reached its goals: many people came throughout the day, including teachers from different Israeli and Palestinian universities, such as Ben-Gurion and Al Quds. 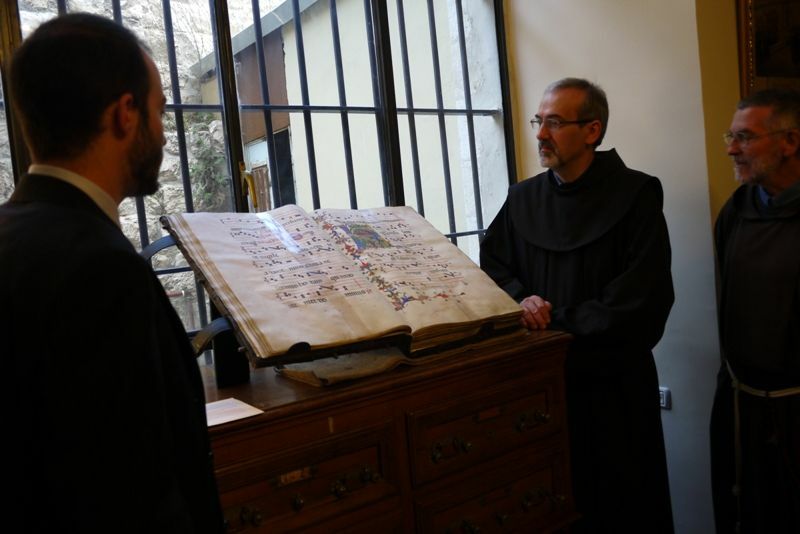 “To make our manuscripts available to scholars from different backgrounds is exactly what we wanted,” said an enthusiastic Fr. 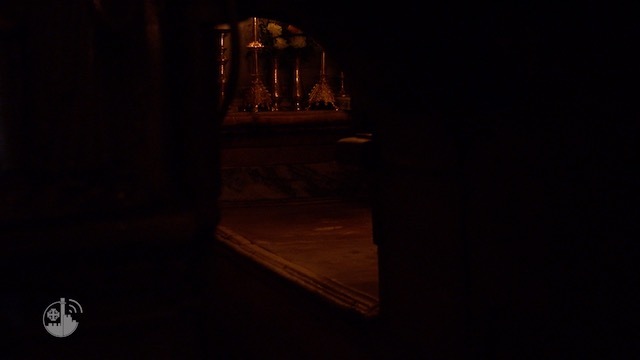 Lionel Goh. 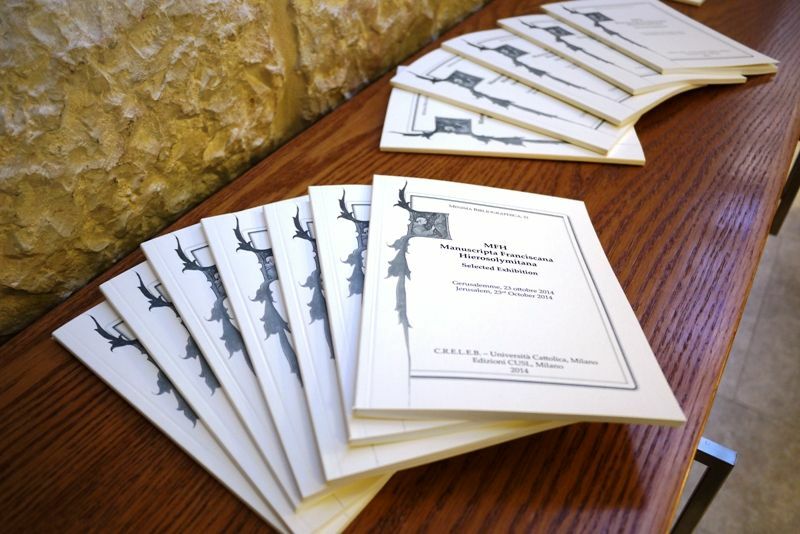 “After the catalogue was released online this summer, we were contacted by researchers from the United States , Sweden, England, Poland… In this small world of research we begin to be recognized internationally. 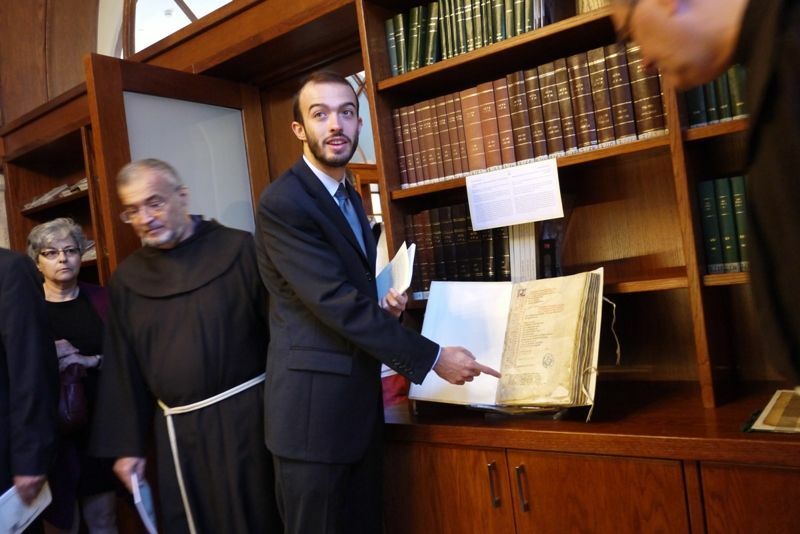 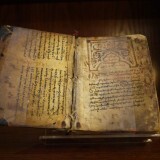 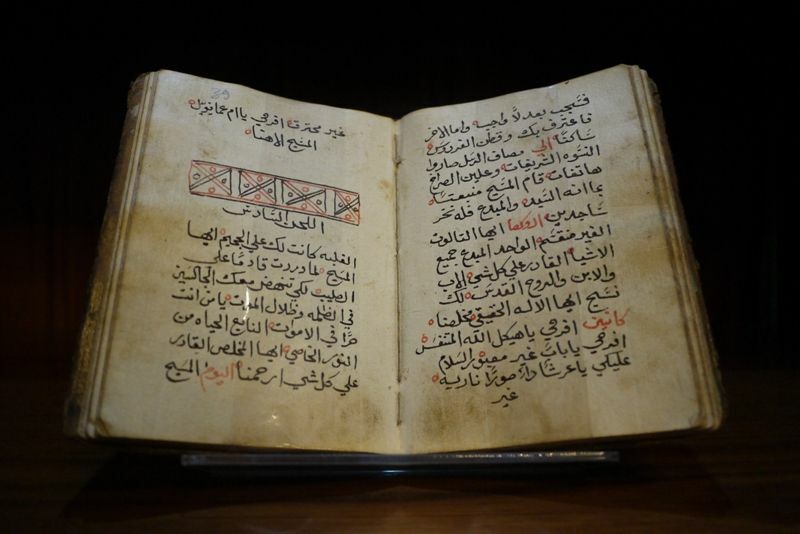 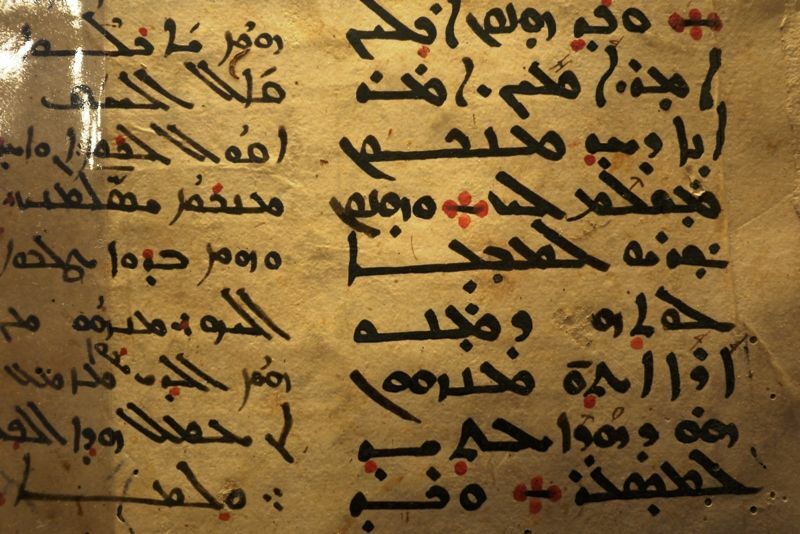 We are making progress.” The exhibition was not restricted only to academics: Franciscans, students, bystanders and even several classes of the French secondary school came to admire the manuscripts. 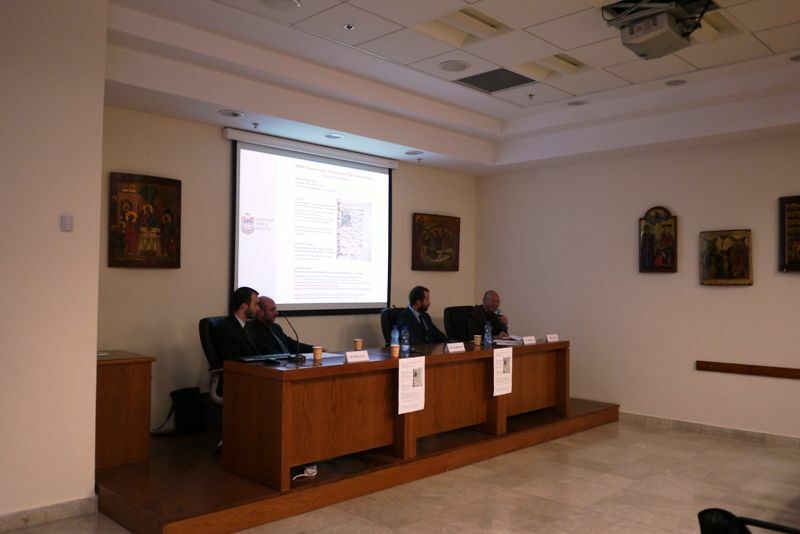 The event ended with a lecture given by Professor Michele Campopiano, from the University of York.”The Franciscans guided the pilgrims to the Holy Land in the Middle Ages, but they also studied with them many different maps and texts of the holy places. 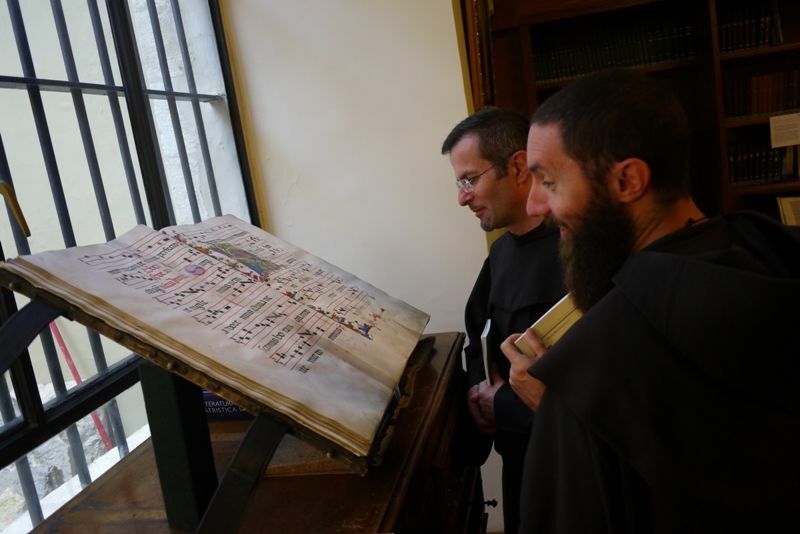 We have forgotten the central role of the friars in the representation that Europeans had of the Holy Land and also of the life and passion of Christ. 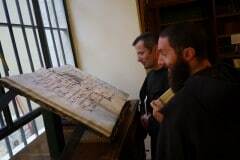 It is on this that my work is based, through the study of Franciscans manuscripts of Jerusalem’s monastery between the fourteenth and sixteenth centuries.” The introduction of Fr. 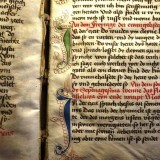 Lionel Goh reaffirmed the importance of this research: “Study the past because it contains the present. 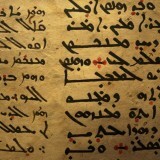 This Chinese proverb applied to the Middle East, speaks of a time when collaboration was encouraged. 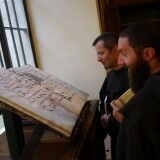 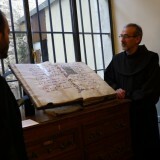 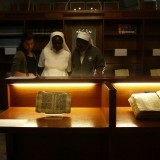 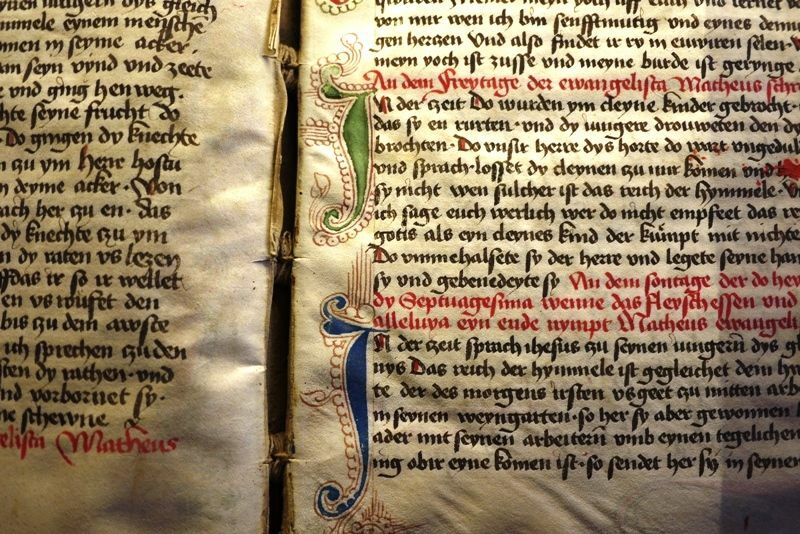 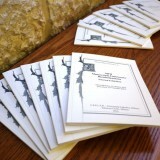 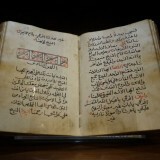 The medical, political, economic or cultural documents of the Franciscan archives are the proof”. 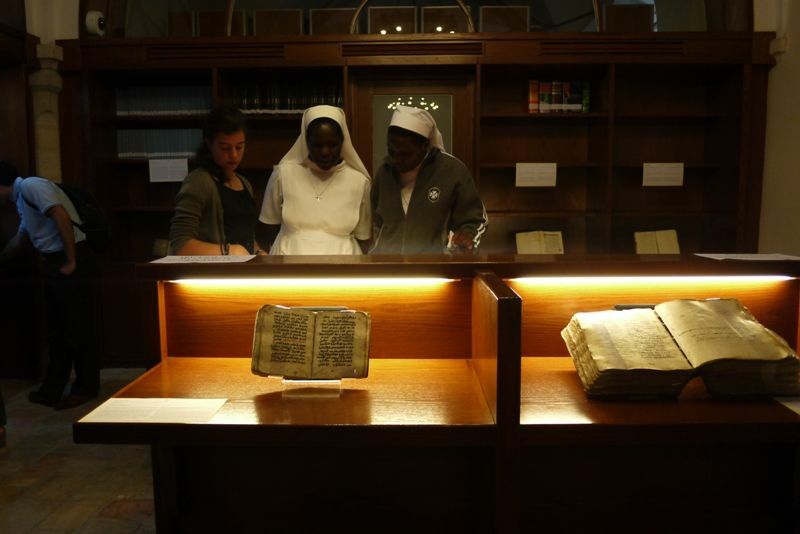 Helping people from different backgrounds to study the past together, creating networking opportunities in the present and thus allowing the future to be written in the context of exchange and collaboration… this exhibition day at the Library was a beautiful stage of this great mission.